A total homogeneity of the fibres which compose it so that the printed lines are at the same time clean and discreet, so that the writing is soft there. A hue white enough so that the written text appears clearly, but whose level does not dazzle the eyes. 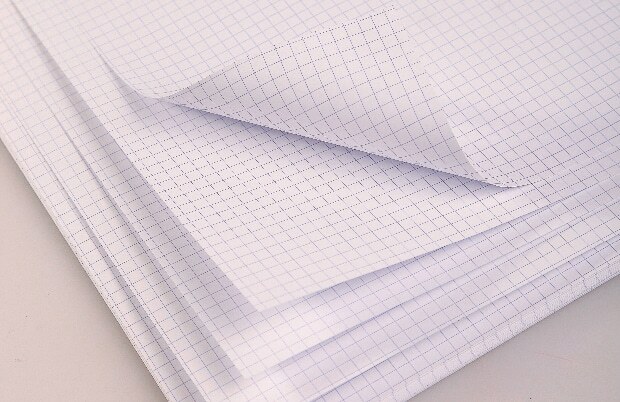 Grammage gradually increased to 90g/m², for true opacity, good tear resistance and still easy folding. A satin finish with perfect regularity so that the feather glides easily, but not too accentuated so that the ballpoint does not slip. A perfect absorption so that the ink and felt-tip do not drink but leave the paper “in love” with the ink. A perfect surface finish for a pen that flies over the lines. An ideal dosage between fast drying, controlled absorption and definition of the features. High opacity for perfect readability on both sides. A surface resistance allowing corrections. 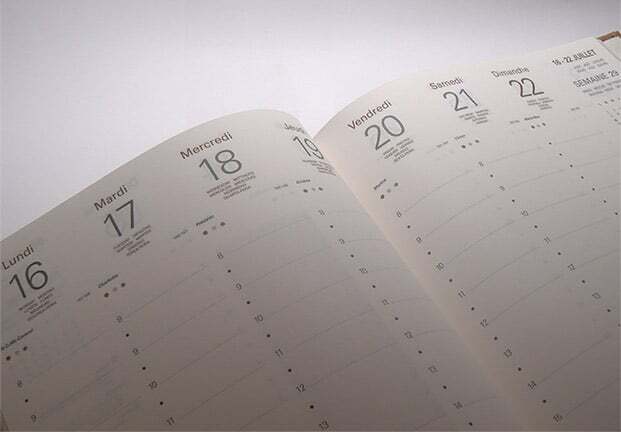 Clairefontaine diary papers are available in different colours, in a weight range of 50 to 90 g/m² and in more or less smooth surface finishes. 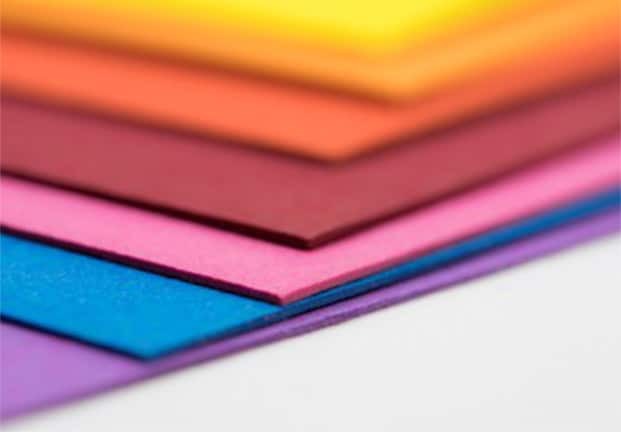 - la machiniabilité des papiers en impression laser (sans bourrage)"
A complete range of rigid cards, with extra smooth, white or coloured surfaces. Highly resistant surface to allow repeated corrections. For a trouble-free archiving this range produced in neutral ph conforms to the ISO 9706 permanence standard. White 162 CIE and five colours: canary, green, pink and clementine. These specifications guarantee excellent resistance to handling and good preservation over time, without discoloration. Available in a range of 25 colours from 60 to 300g. It is because Clairefontaine’s papers are characterized by high opacity, uniform thickness and high bulk that will be perfect for converting into envelopes, allowing you to consider a reduction in weight thanks to their high rigidity. 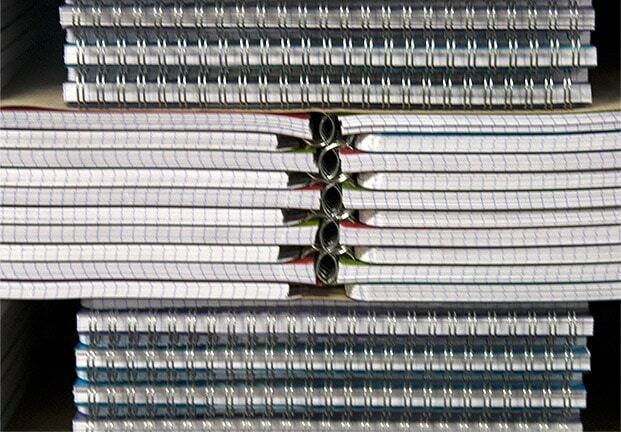 Their perfect folding and converting properties make Clairefontaine papers the ideal solution for high productivity. 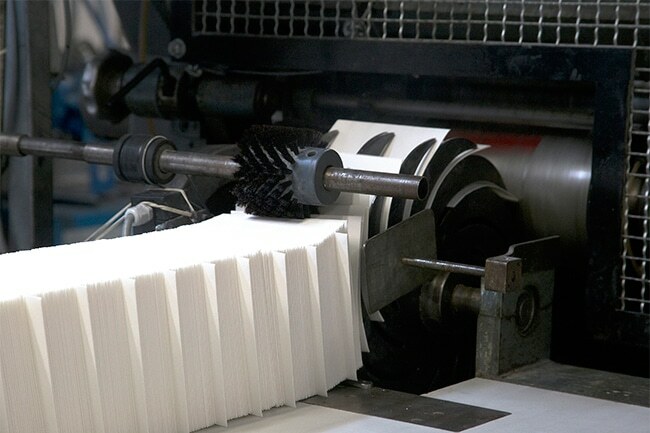 With a great knowledge of paper surface treatments, Clairefontaine puts all its expertise at your disposal for the development of papers intended for coating. Clairefontaine offers ticket holders adapted to each specific use. 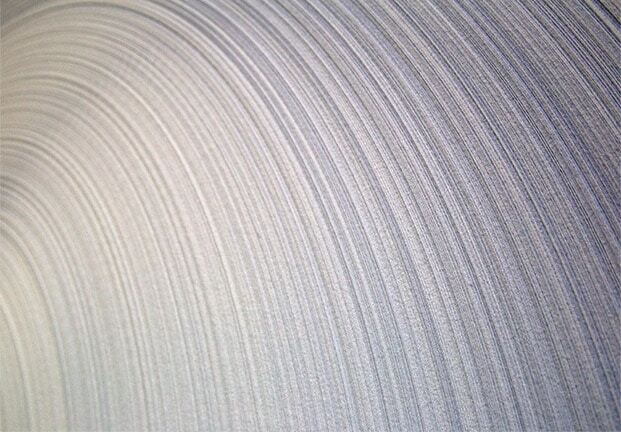 Sheet homogeneity, very uniform surface, high rigidity and very good printability are the main characteristics. 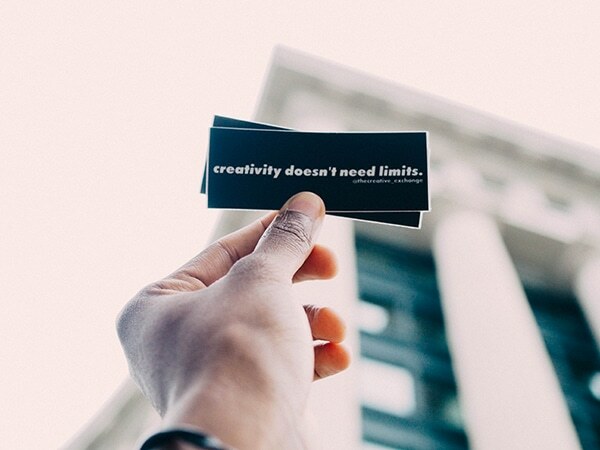 Our teams are able to develop solutions adapted to your needs.